[UPDATE 03/2018] Check out this blog post for instructions on installing MongoDB 3.6 under Ubuntu 16.04.3. 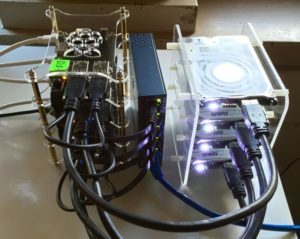 Installing version 3.4 on the ODROID-C2 under Ubuntu is way easy! You can find instructions in the MongoDB 3.4 installation guide. 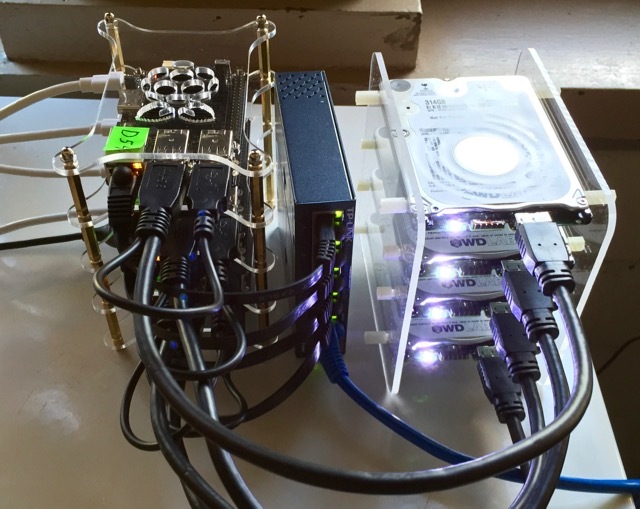 Check out my cluster of ODROID-C2s running MongoDB in this blog post. Andy i forgot to ask you also wich distribution will you install in my case for low memory usage? Ubuntu or arch linux? Arch would probablt result in the snallest footprint (disk and RAM) but I recommend the offcially supported Ubuntu 16.04 as being more stable with more packages available (that work). You can also get the official MongoDB 3.4 release for it. Thanks for your time Andy! Could i run my chromium application without desktop environment with only openbox? Minimal Ubuntu installation + openbox or maybe i will face to much issue because i need to get the ODROID 7 inch touchscreen working?